Property Point, a Growthpoint Properties initiative, has officially facilitated more than R1bn successful procurement opportunities for small businesses operating in South Africa’s property sector since it was launched ten years ago. Over the past 10 years, Property Point has facilitated market opportunities worth R1.14bn for the 168 SMEs that have taken part in its two-year enterprise and supplier development programmes. It has also created more than 2 405 full-time jobs. The SMEs involved also reported an average 44% growth in revenue. 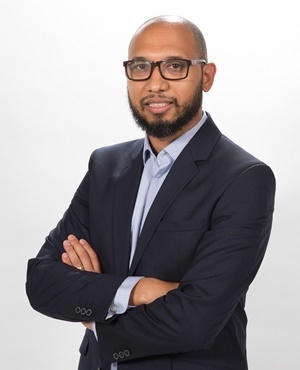 Shawn Theunissen, head of corporate social responsibility at Growthpoint Properties and founder of Property Point, says significant impacts like this are only possible by working together with the sector and its stakeholders. Estienne de Klerk, Growthpoint Properties SA CEO, explained that Property Point has created a bridge between the property industry and small black business. It facilitates real access, opportunities and wealth. "This creates jobs and makes a positive contribution to the economy. We are very pleased with its success and the positive impacts we have been able to make through Property Point,” commented De Klerk. Property Point has pioneered collaboration across the property industry by working with both the public and the private sector. With partners such as Attacq and the Department of Small Business Development (DSBD), it is driving enterprise and supplier development forward for the real estate sector. Property Point supports small businesses to grow, build good reputations, access market opportunities and use innovation to become sustainable concerns that stimulate the economy as a whole. Besides its successful enterprise and supplier incubation for the property sector, Property Point also leverages its resources to boost entrepreneurs across all sectors of the economy. So far 3 700 entrepreneurs have attended Property Point’s various seminars and workshops, including its monthly “Entrepreneurship To The Point” sessions. “We are excited to build on this success and expand our impacts on small enterprise development, job creation, economic growth and a more inclusive economy for SA,” said Theunissen.